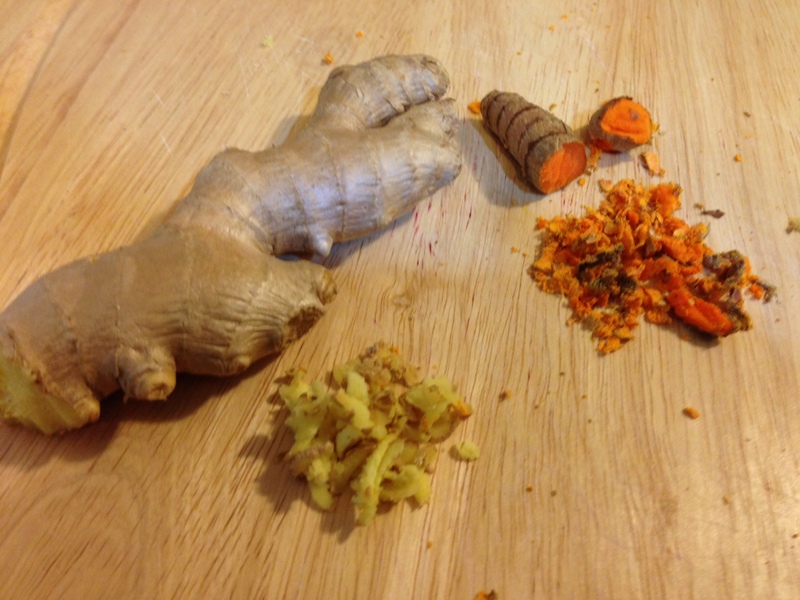 Bring water to boil in a small pot, turn down to low heat and add in the ginger and turmeric. 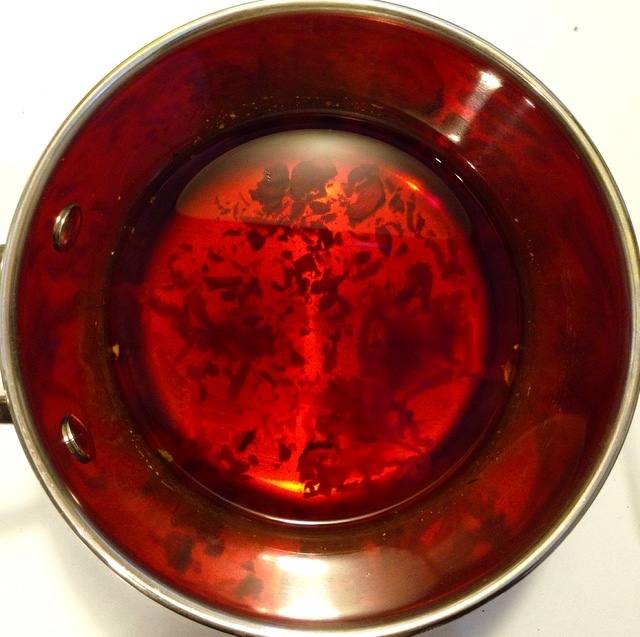 Cover and simmer for 10 to 15 minutes, then strain. *Turmeric is fat-soluble, so to aid in its absorption it is important to eat it with some form of tasty fat! A bit of coconut oil does just the trick.